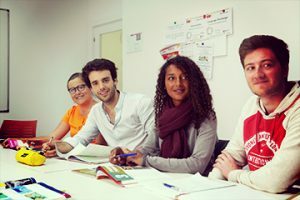 CLIC, Centro de Lenguas e Intercambio Cultural, is a Spanish school in Seville with an international character, specializing in teaching Spanish to foreign students. 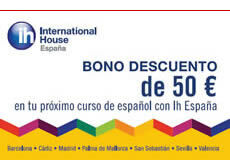 The Spanish language school, founded in 1983, occupies a privileged position just a stone’s throw away from the town hall, the cathedral, and the royal palaces. 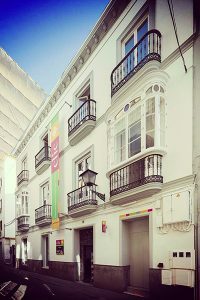 The setting is a typical Seville-style building, with Roman columns surrounding the central patio. A large sunny rooftop terrace. The capital of Andalusia – Seville is considered to be one of the most beautiful cities in Spain, and the one which best keeps the spirit of its traditions alive. The tapas – Pretty much no matter where you are in Seville, you are likely to be surrounded by bodegas, restaurants, and bars. There is an entire world of tapas out there just waiting for you! Best city to visit 2018 – Seville was named best city (in the world!) to travel to in 2018 by Lonely Planet. The colors – Like the famous song says: “Sevilla tiene un color especial” – the architecture and colors of Seville truly are special. Combine this with its many tiny cobblestone streets and the horses and carriages you see in the center, it’s definitely a city for the romantic. Flamenco – Seville is the place to be for the one who likes – or is curious about – Flamenco. Many of the best dancers, singers and musicians perform their art right here.